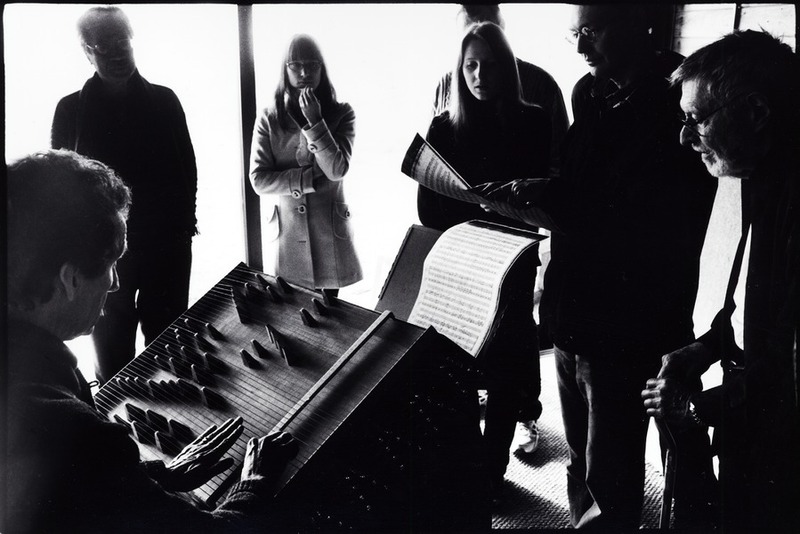 Charles Amirkhanian discusses the music and philosophy of Harry Partch, just days after his death in early September, 1974. Part eccentric and part genius, Harry Partch was famous for his 43-note microtonal scale, typically played on instruments of his own design. Many of his works were also theatrical in nature, calling for dancers or actors as well as musicians. Several examples of his work are played during this program including his studies on Greek scales in which Partch uses the five tone scale of Olympos and the seven tone enharmonic scale. in addition, there is also a recording of Partch discussing his work, recorded in 1970, as well as brief reminiscences about the man by a number of notable composers and musicians who knew or were influenced by Partch. Since Partch’s death a cohort of past students and enthusiasts have kept his legacy alive and his works might indeed be better known today than they were when this program first aired, a trend that radiOM.org hopes to further.